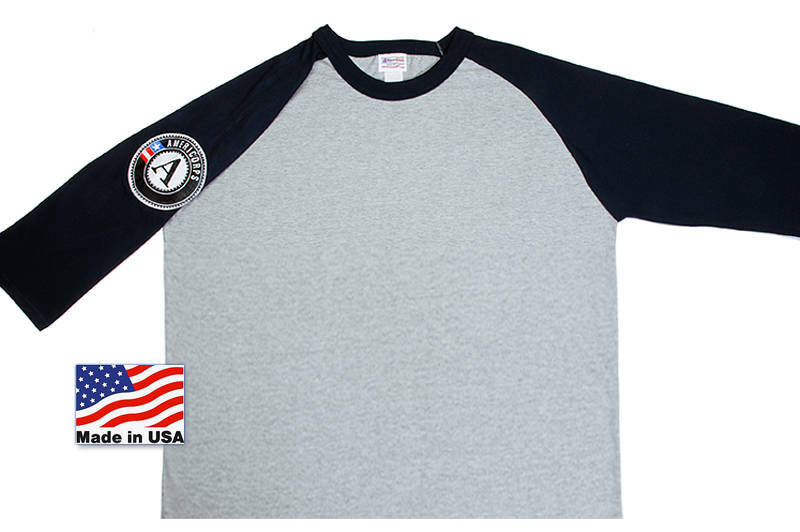 These tees are loose-fit crew neck, 3/4-length sleeve, with the unique, handsome "AmeriCorps Angle" sleeve. 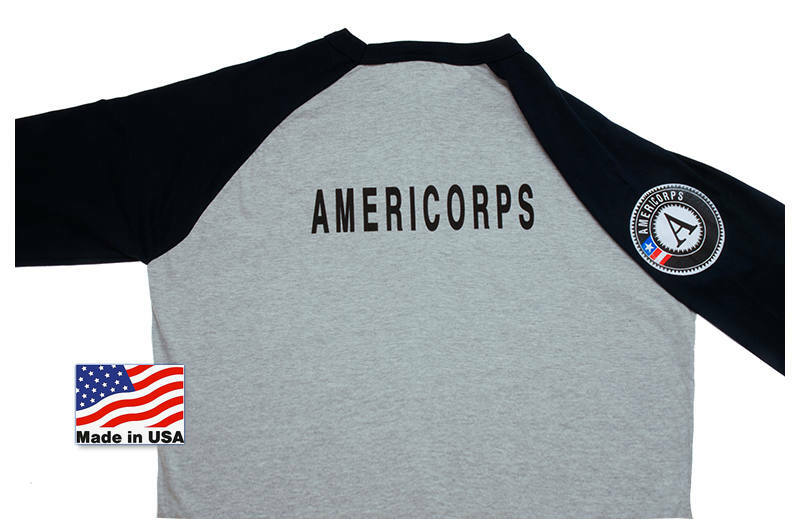 AmeriCorps logo on right sleeve, and "AmeriCorps" in black caps across the back. Side seamed and won't ride up like the inferior tubular tees. Square bottom. The body is perma-soft AmeriCorps ring-spun cotton in AmeriCorps gray. The sleeve is a perma-soft ring-spun cotton in deep navy blue. Front body is blank.